Falken Trade lays great emphasis on the quality of delivered products and services. 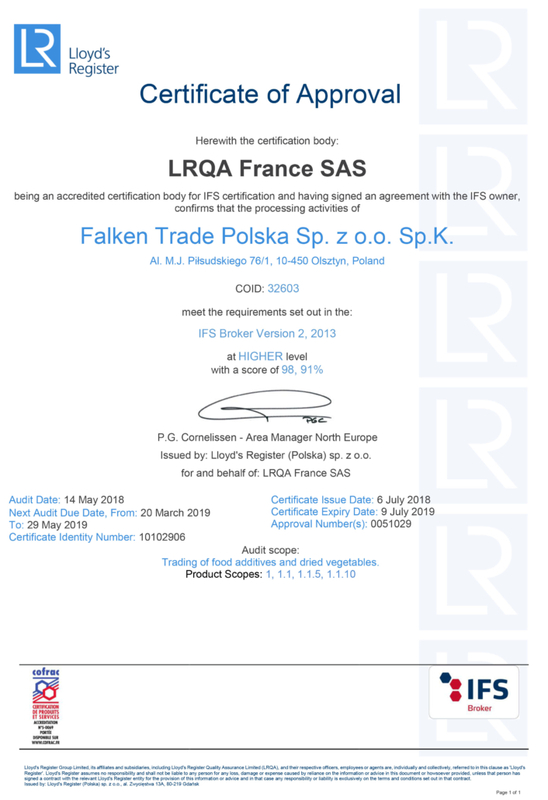 This can be achieved through the implementation, maintenance and improvement of the quality management system compliant with ISO 9001, ISO 28000 and HACCP system. 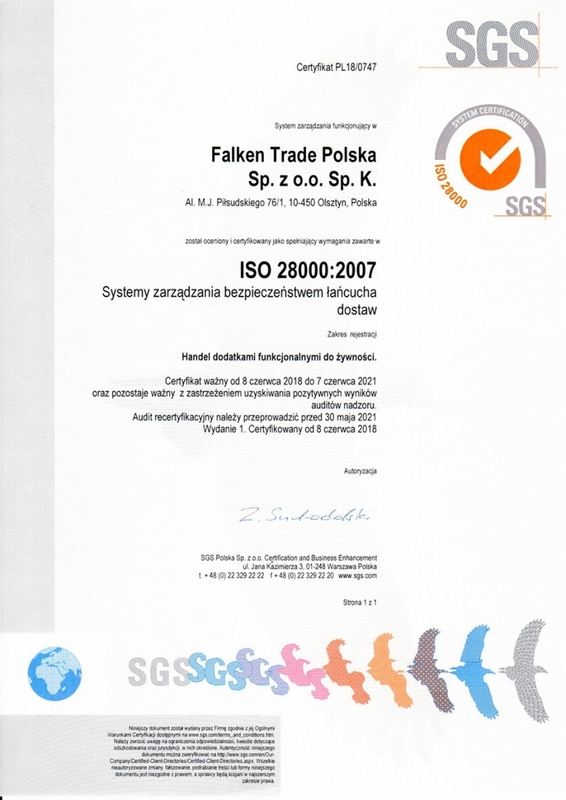 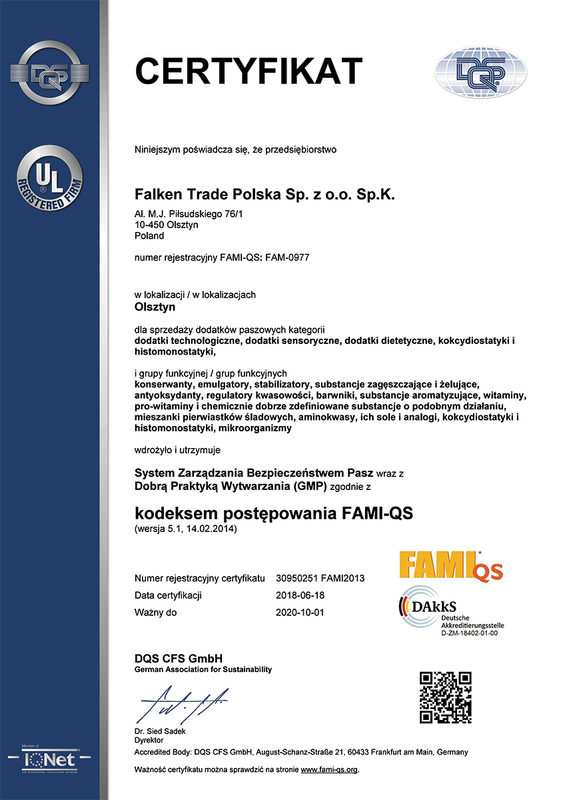 Falken Trade is also one of the first distributors of food additives in Poland certified with IFS Broker and FAMI-QS system dedicated to manufacturers and suppliers within Feed Industries. 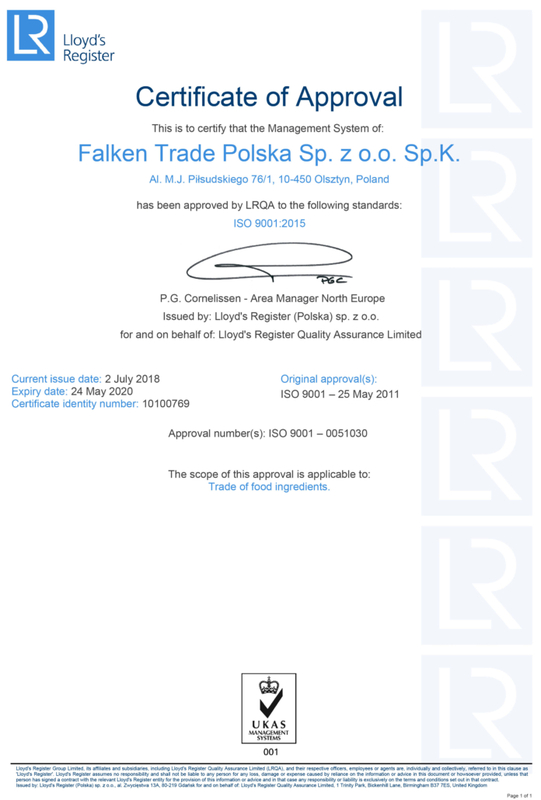 In the interest of the highest standards of quality level, customer service, and food safety, we take care of regular product inspection, which is enabled by audits at producers, appropriate monitoring of imported goods and cooperation with an accredited laboratory.